Moonlight Dome is a 1947, all stainless steel streamliner dome car. It is one of only a handful of streamliner domes available for charter in the United States. Due to its low profile, these domes were called Strato-domes. Only six were built for the C&O railroad for use in the East where low tunnels were the norm. “Moonlight Dome” was recently total remodeled and upgraded making it one of the premiere domes in the nation. The car’s three bedroom suites are the largest in the industry, featuring twin fold down single beds, thus eliminating any upper births. Each stateroom has a closet and full restroom with toilet and sink. The cars shower is located down the hall in the public restroom. A fourth bedroom under the dome boasts a queen size bed and plenty of storage but no restroom. Guests, or in most single car chartering situations the chef/attendant, uses this room and the public restroom right next door. Nine passengers seat comfortably in the spacious rear lounge which features a flat screen HD/smart TV with BlueRay DVD and a collection of over 150 American classic movies, surround sound, wifi internet connection with digital printer where available and dual mini refrigerators for guests use. The lounge also includes a fully stocked premium bar. Upstairs in the dome area,” Moonlight Dome” seats a full 24 passengers at six, four top tables. Enjoy a 360 degree view of the surrounding country side as you dine on fine food and drink or as you simply sit back and relax as the miles pass by. If you have chartered just the “Moonlight Dome” as a single car charter for up to six people or if you are part of a group of twenty four on both Moonlight Dome and its sister car, “Birch Grove”, your private rail adventure with the Cincinnati Railway will be a memory you will not soon forget. 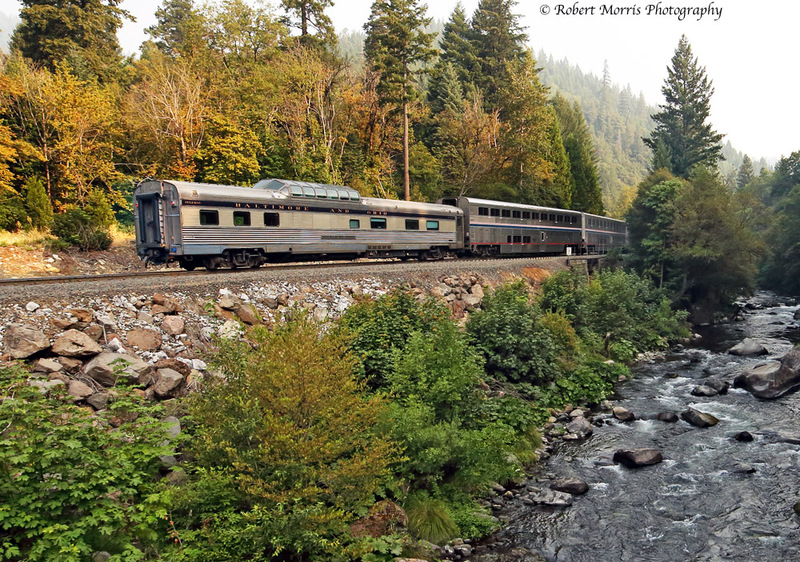 “Riding in a private dome car on a special train is a great way to see the country and to get a closeup view of modern railroad operations.” N. A.
Click here for more history of the car.